Earlier this month, a Chicago organization called Friends Of The Parks managed to halt construction on George Lucas’ Museum Of Narrative Art, demanding (via lawsuit) that the city and the people behind the museum find a location that isn’t on Chicago’s lakefront. The organization is citing a 100-year-old rule that forbids construction on the lake, even if/especially if said construction is an enormous tent thing with a flying saucer on top. One of the reasons the Lucas Museum chose Chicago in the first place, though, was because San Francisco—it’s original choice—wouldn’t give it the location it wanted, so a report at the time suggested that this dispute could end up costing Chicago the museum altogether. Now, that seems to be a very real possibility. According to the Chicago Tribune, an attorney working for the city says that the Lucas Museum people are considering “other cities and other sites” due to “the uncertainty and delay” the the Friends Of The Parks’ lawsuit has caused, and that it has all “put the entire project in jeopardy.” Just this week, Chicago—which officially supports the museum—tried to get a judge to at least lift the order blocking construction, but the judge said that he wouldn’t issue a ruling until the end of April. 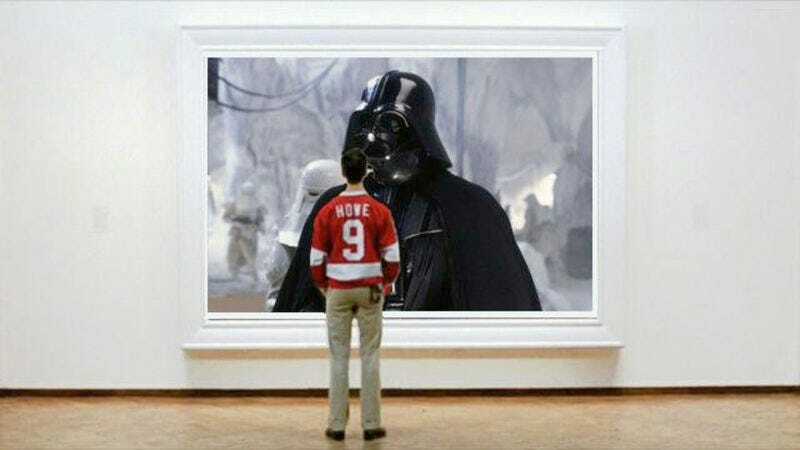 Meanwhile, Lucas himself has reportedly suggested that Los Angeles could be a possible third choice, and Oakland, California, has “expressed interest” in bringing the museum back to the San Francisco Bay Area. As for the Friends Of The Parks, the organization is trying to be a little helpful. While it apparently has no intention of abandoning its defense of the gorgeous parking lots and side streets that currently reside in the area that Lucas wants, it has offered a backup location that the museum could consider. The alternate spot is a little under two miles south of the lakefront location and was formerly the home of the Michael Reese Hospital. Currently, it’s just a big empty lot that is seperated from the precious, untouchable lakefront by some train tracks, a big truck depot, and Lake Shore Drive—all of which would make for a view just as inspiring as the area around Soldier Field. The only thing left to do at this point is wait and see if either side will back down before the judge makes his ruling.